Myself and 7 other fabulous bloggers have joined forces (we're kind of like the Avengers but for beauty products) and pitched in to offer up 3 amazing products. All of which are busy having their 'moment' in the spotlight and would be great for any beauty lover. There's the cleanser of dreams, serum of secretly glowing skin and blush of brilliance. Meet the Green Avengers: Ashtynne (Green Beauty Babe), Liz (Smells Like a Green Spirit), Kasey (Plein Vanity), Julie (Let’s Talk about Green), Ru (Short, Small & Sweet), Sarita (Edible Facial), and Yeiza (Boho Chic Meets Organic) oh, AND ME! Re-post this image on instagram for extra entries! *Giveaway begins January 10th and ends January 30th at 11.59pm. Open to all WORLDWIDE. *Use the Gleam widget below (very much like rafflecopter) to enter, there are lots of different options, the more you complete the more entries you have. *Entrants must leave a blog comment at least one participating blogger's post and visit and follow at least 1 other blogger. *There is an option to re-post the above image on Instagram, make sure you use the hashtag #greenbeautyhappy2015 and then come back to the widget and submit your intagram entry otherwise it will not count. Giveaway begins January 10th, 2015 and ends January 30th, 2015 at 11:59pm EST, open to U.S. & International entrants. Entrants must follow the guidelines specified in the instructions above to qualify. A random winner will be chosen and contacted on January 31st through email. If no response is received from the selected winner 48 hours after the announcement, another random winner will be selected. All information provided by entrants is confidential and will not be shared with other third parties. Total prize value is approx. $124 USD. 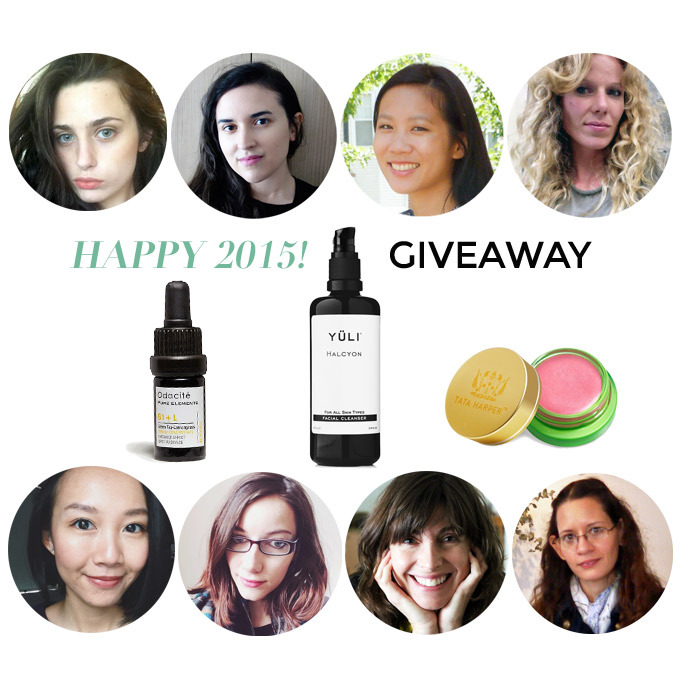 This is such an amazing group of bloggers and products! I've had my eye on all three of these. This is so lovely! Thank you all for hosting this lovely giveaway!